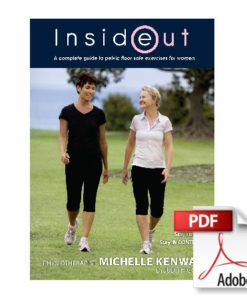 Inside Out Book and DVD are now available as a convenient and cost effective saver pack. 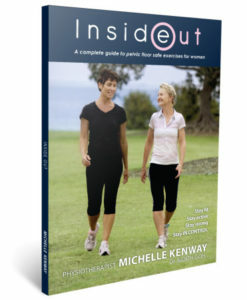 Inside Out Book is the internationally acclaimed guide to pelvic floor safe exercise, pelvic floor recovery and avoiding pelvic floor injury by Australian Pelvic Floor Physiotherapist Michelle Kenway with Urogynaecologist Dr Judith Goh. 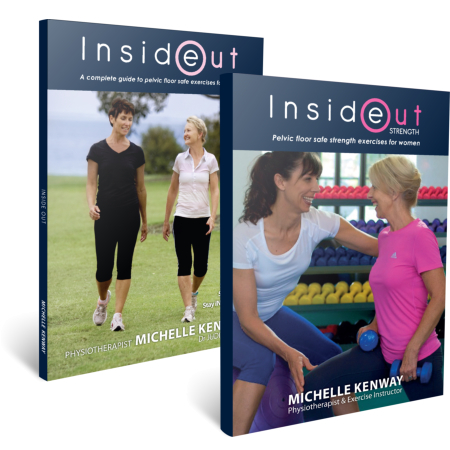 Inside Out book teaches pelvic floor safe exercise for fitness, weight loss, strength along with guidelines for pelvic floor strengthening and pelvic floor safe exercises to choose and those to avoid for women at risk of pelvic floor injury. 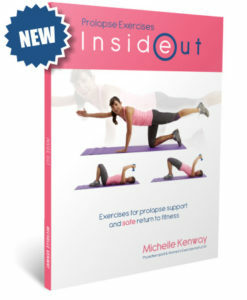 Inside Out Exercise DVD brings the strength exercises in the book to life with a complete pelvic floor safe whole body and pelvic floor strength workout. Feel strong, energetic and well. 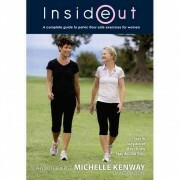 Michelle Kenway is a Pelvic Floor Physiotherapist, exercise instructor for women, presenter and author. Michelle is recognised worldwide for her expertise in designing and promoting pelvic floor safe exercise programs for women. Minimum Australia Post rates apply only (free packaging and handling worldwide). Download order form– for the convenience of postal orders. Please contact us directly for any further information regarding this product.